The real deal from Fender. Genuine Fender Stratocaster guitar alder body routed for a traditional SSS pickup configuration and pre-drilled with six screw holes for vintage-style bridge with wide 2-3/16" mounting. Durable gloss-polyester finish. Crafted at Fender's Ensenada, Mexico, manufacturing facility. 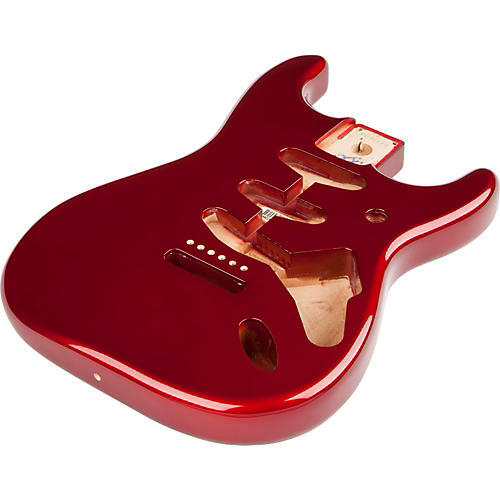 This replacement body is for a Fender or Squier by Fender guitar. Replace or upgrade your Strat with the right body. Order today.